I don’t have a green thumb. In my life, I can count the times I have gotten flowers on one hand, and the times I have killed them on the same hand. My rose from Dad on Valentines’ day is always the first one to die in the vase – even though I swear I do nothing different to it than anyone else’s. Each year at the bank I work at, our boss gives us Poinsettias about a week before Christmas. Mine is dead by Christmas Eve. The plant that lived in a pottery vase that I was given for my graduation is now just a pottery vase that holds my pencils, because the plant has not been with us for over two years. The little potted plant my best friend gave me is dead (sorry Mary) because I didn’t think it needed water. Don’t ask me why. I just don’t have a green thumb. And that’s ok – to each his own, everyone has a set of talents and gifts. Plant care is not one of mine. So this little orchid that a fantastic guy gave me may have a short lived life in my house, by no means will it be intentional plant slaughter, it’s just something bound to happen. Yet during it’s (possibly short) life here, it has already taught me quite a bit. 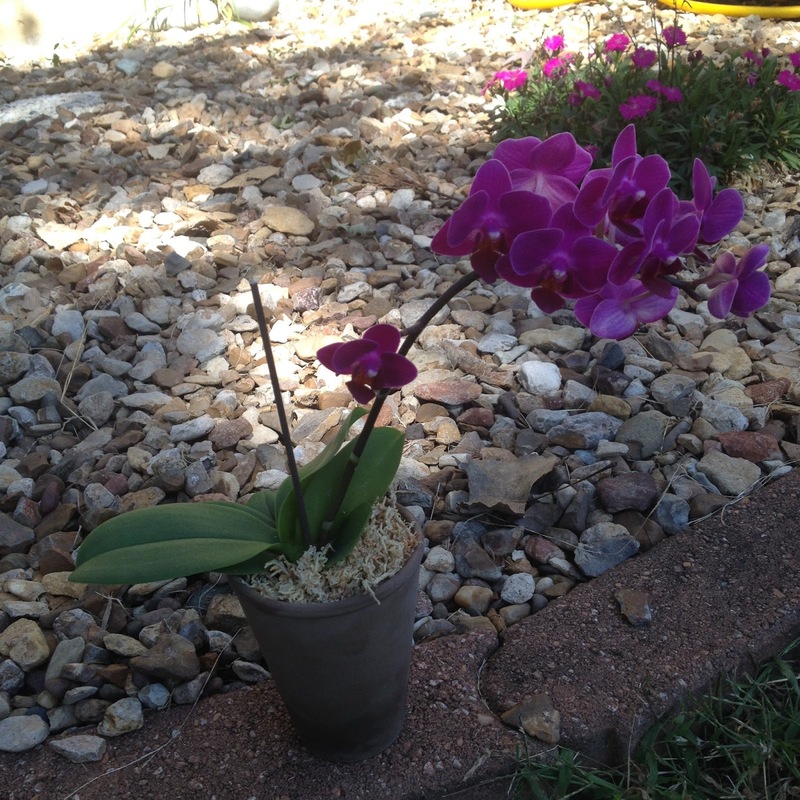 For starters, let’s just take a moment to appreciate how little gardening work an orchid needs. You feed it by ice cubes (the water, not the rapper) and sit in a a partly sunny place. Check. So this can’t be too much – although I’m sure I’ll forget it’s water supply and pass by it one day as it is breathing its last. But, on the optimistic side, it’s little purple flowers are nice and bright and death has not cast it’s shadow over the door of this little plant. 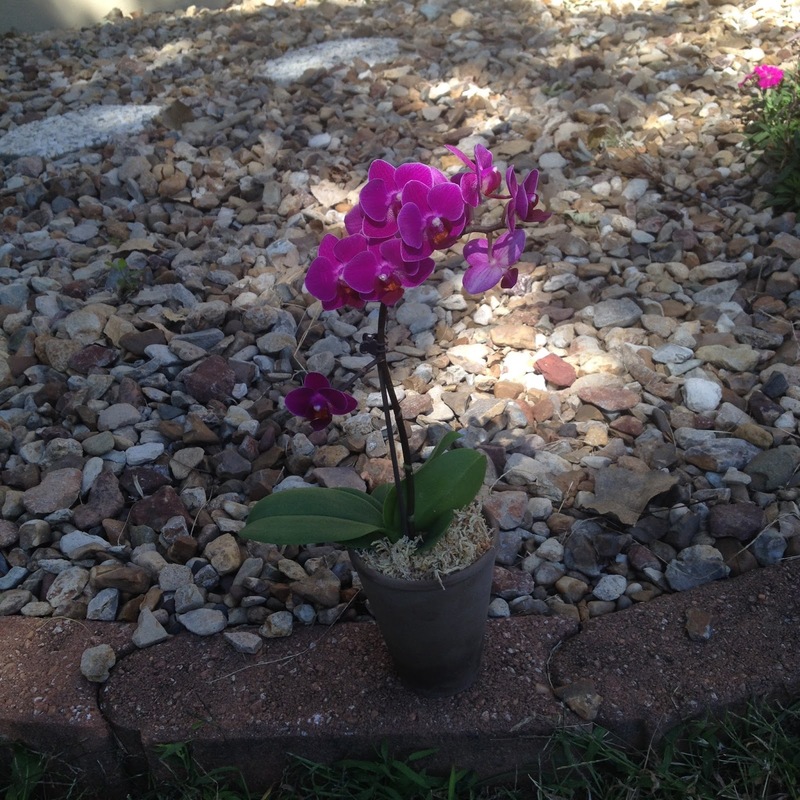 Let’s use the orchid as an analogy for our faith. (if you think it’s a stretch, bear with me for a second). I grew up in a super Catholic house. I’m the oldest of eight, I was homeschooled K-12, I knew about Theology of the Body since eight grade confirmation, and I’ve been schooled in apologetics at the lunch table since my freshman year of high school. I graduated high school two years ago, went to a non-Catholic college, but got involved in my Catholic Campus Center and have made my best friends there. I’ve grown in my faith through defending it through classes and interactions with other students, Catholic and non-Catholic. All in all, if my life is that little orchid, I’ve gotten a really good amount of ice cubes and my sunshine tank is pretty full. That is the only thing that is keeping the orchid from slumping to the right and growing horizontally instead of vertically. It’s not incredibly strong on it’s own merit, but it’s grip on the orchid keeps the orchid growing tall and sticking up for itself. So despite all the good things that I can surround myself with, I still need a little baby alligator clip to keep me straight. 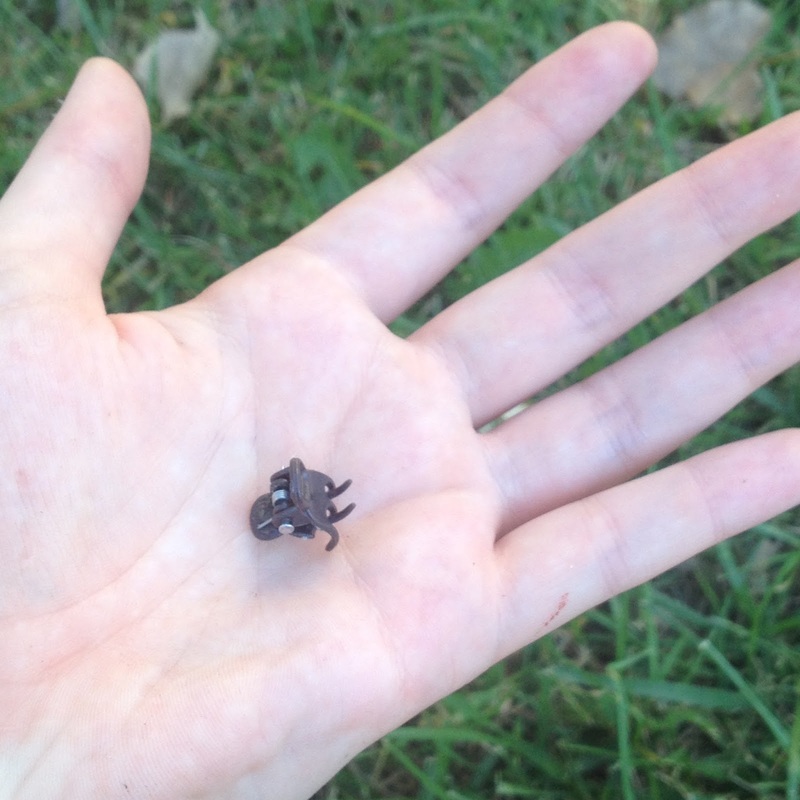 What is my little baby alligator clip? God’s grace. Something I don’t have to deserve to receive, something that God is constantly just pouring down on me through the sacraments and grace and the time that I spend just looking at His amazing love in adoration. Something that I see in the faces of those I interact with, and the love of the friends who reach out and sit me down when they know something is wrong. An orchid growing horizontal is pretty cool – not something you see everyday. 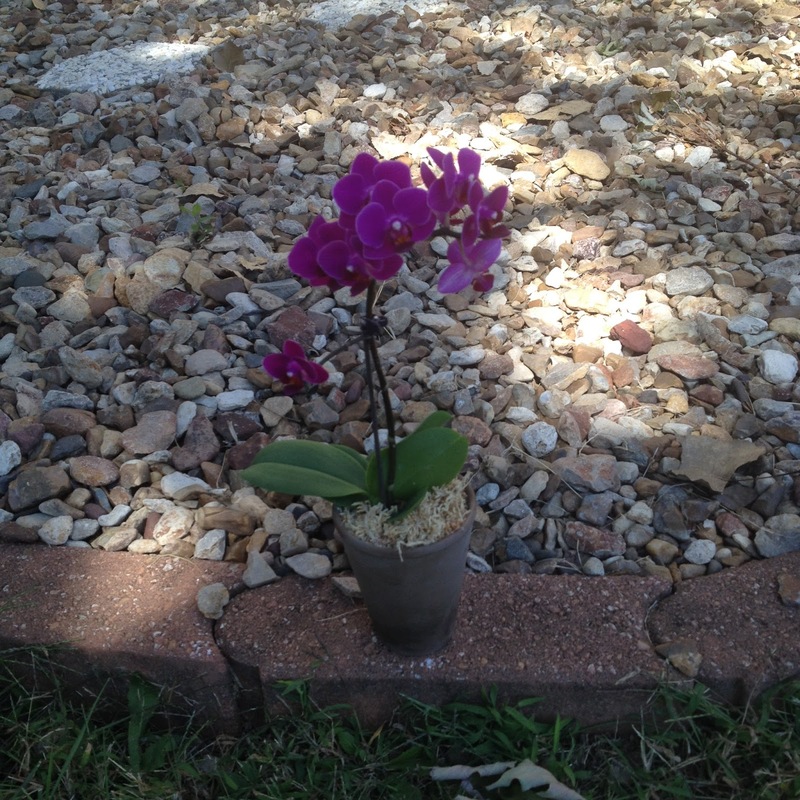 But an orchid that knows its mission and purpose and loves reaching up to the God who made it? Now that my friends is a sight to see. So, seriously, if you want to come see it, you better stop by quick. Because it may be reaching for the ground in a couple of days. But until that day comes, I’m really enjoying the blessing of a good reminder of how it’s ok to not have it all together, and the importance of a little baby alligator clip.